With end-of-the-world visions of global warming and monstrous terminator machines, the world of science fiction and futuristic dreaming has gotten rather bleak. But UC Santa Cruz politics professor Ronnie Lipschutz has organized a conference to think more optimistically about the future and replace popular interest in dystopia with more encouraging utopian visions, both past and present. "Utopian Dreaming: 50 Years of Imagined Futures in California and at UCSC" will celebrate the 40-year anniversary of "Ecotopia," Ernest Callenbach's seminal novel that imagined Northern California, Oregon, and Washington breaking off from the rest of the country and forming an ecological, one-with-nature, new nation. Coinciding with the 50th anniversary of UC Santa Cruz, the conference on November 6 and 7 will offer a gamut of futurists sharing new visions and old, on the campus, California, and the world. The conference is free, but registration is requested and available online. "I've been teaching international politics for a long time, and it's always a depressing topic," said Lipschutz, who is the provost of College Eight. "There's been a dearth of utopian thinking in recent years. At the end of the day, I think the environmental threats we face demand utopian thinking. Maybe we can get people to think more positively about the future." 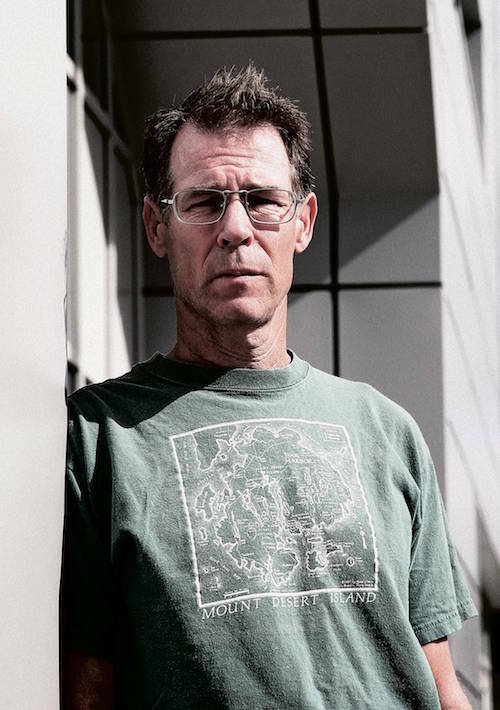 Science fiction writer Kim Stanley Robinson, who has won the highest honors in his genre, the Hugo and Nebula awards, will deliver the keynote address with a hope-and-change attitude about the future and the state of fiction predicting it. "Science fiction is really sensitive to the mood of the time," Robinson said. "People are fearful now. But in the '70s when Ecotopia was written, there was a lot of bad stuff going on and a feeling that anything could happen, including good things. "It's been 35 years since the Reagan and Thatcher conservative regimes and the effect has been bad environmentally and socially. But I think there are good things too." Grim dystopian visions make for more dramatic movies, he said, and utopian ones are more low-key. "There's always going to be hope," he said. "It's always stubborn and persistent, even if it's more subtle." Robinson, who has published 19 novels and dozens of short stories, was hailed as a "Hero of the Environment" by Time magazine in 2008 for the optimistic environmentalism in his work. He sees global warming as a "pressurizer" forcing countries to deal with an emergency, but he's encouraged that "three-fourths" of the population believes in it and can push back against "politicians bought by lobbyists from the carbon industry." And, he's enthused about the upcoming Paris conference on climate change, at which a hundred thousand people are expected to march in the streets. On Friday night, the conference will focus on Callenbach's work; on Saturday, the future. Other speakers include Fred McPherson, one of Page Smith's early Ph.D. students, looking at "Utopia at UCSC: The Early Years;" Benjamin Wurgaft, of MIT; and UC Santa Cruz sociology graduate student Kristin Miller discussing "California as Eco(u)topia."